We think the name “swim spa” just doesn’t make sense. You wouldn’t (comfortably) swim in 38 degree water, or lounge in a spa at a modest 30 degrees? This is not a swim spa; it’s a Fitness System with swim and low-impact exercise features designed to complement one another, so that your wellness goals are easily achievable. The ultimate endless swim spa for wellness, fitness and relaxation. 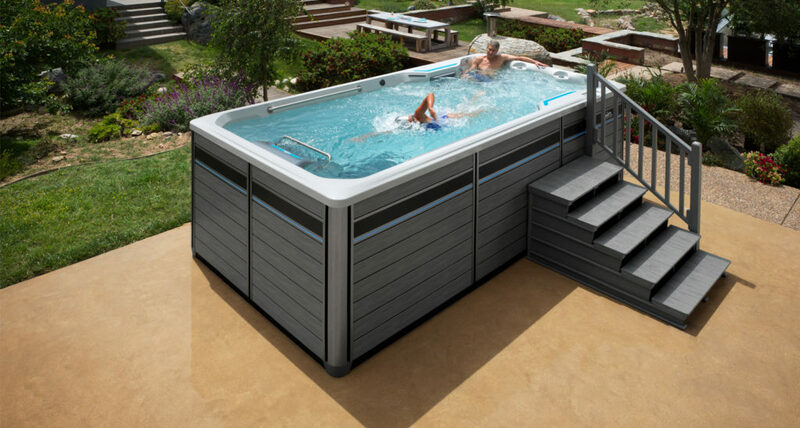 The E2000 Endless Pools Fitness System, lets you have it all. In this swim spa, the fitness area features the smooth, fully adjustable Endless Pools Swim Current, and the separate spa area offers jetted, hydromassage seating. This is the beauty of having your Endless Pools® Fitness System just steps away from your backdoor, where you can swim, run, exercise and relax in the privacy and convenience of your garden. The E550 features the Endless Pools Swim Machine and (optional) underwater treadmill, for the great low-impact workouts we are known for. However, it’s not what it has that makes the E550 so unique, it’s what it doesn’t have! The spa seating has been removed, the filtration and steps relocated to the front, and the width extended to 94” (from the standard 89”). What if you could achieve your wellness goals within your own private space? Our homes are more than just a refuge; they’re a sanctuary from the stresses of our busy lives. 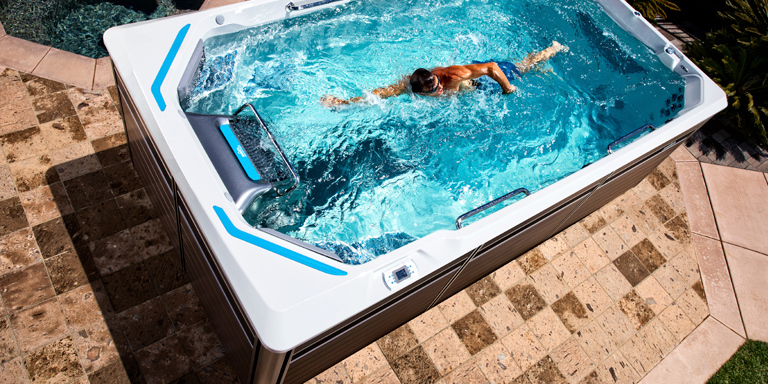 Endless Pools® Fitness Systems E500 is where you can swim, run, exercise and relax all in one place within the privacy of your own home. 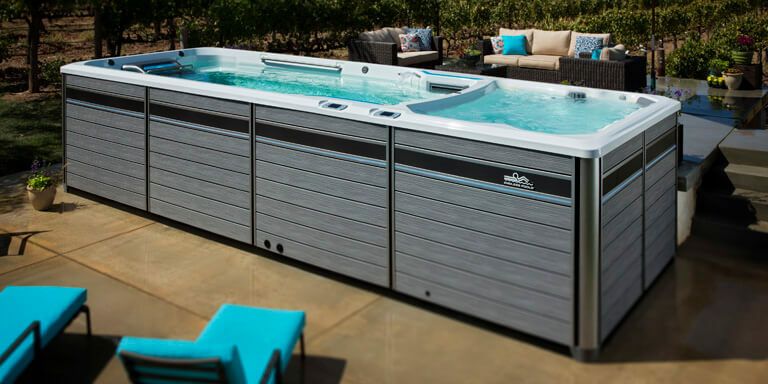 The E500 swim spa system combines beautifully functional design with the innovative Endless Pools Swim Machine and optional treadmill for a variety of fitness options. 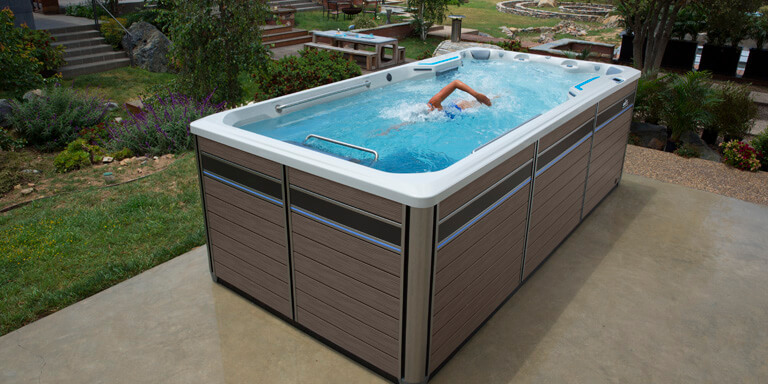 The versatile Endless Pools® swim spa is built to provide a space where wellness goals are easily incorporated into your daily routine.